Dr. James McDonald, Dean of the College of Humanities and Social Sciences (HSS), begins a new adventure this fall as Provost at the University of Montevallo, Alabama. Ending his nine-year term at Southern Utah University, McDonald helped the college grow and develop in numerous ways. McDonald began his journey as dean at SUU in 2008. An applied cultural anthropologist, he has more than 25 years of experience analyzing the political economy of inequality in areas such as Mexico and Guatemala. At SUU, his accomplishments include implementation of foreign language courses in Mandarin, Arabic, Ancient Greek, and Latin; a major program in philosophy; minors in women and gender studies, ethnic studies, anthropology, sustainability, global studies and film/media studies; certificates in leadership, an online paralegal program and an anthropology major. McDonald also led the institution of partnerships with Wuhan Polytechnic University in China and IEEA in Korea (a general education agreement), facilitated the development of an online version of the existing Master of Public Administration program and obtained full NASPAA accreditation, created the HSS Journal for Undergraduate Scholarship, and spearheaded the now university-wide IDEA objective-based teaching evaluation survey system in HSS. Serving both the university and community at large, McDonald’s passion for diversity and inclusion are evident in all his endeavors. From 2009-11 he served as co-chair for the Utah State Board of Regents Committee on Minorities and the Disadvantaged. He is also an active member of Youthlinc and serves as a team leader for service projects in Guatemala. 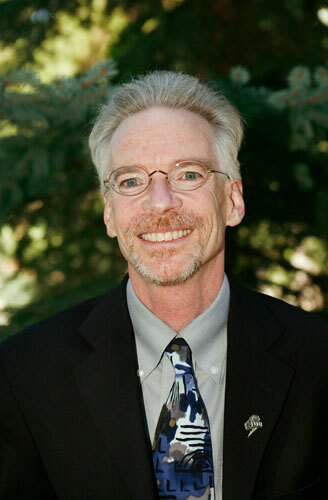 As dean, McDonald provided leadership for the Hispanic Center for Academic Excellence, the Tanner Center for Human Values, the Writing Center, the Speech and Presentation Center, the SUU Archaeology Repository, the Convocations Program, as well as 21 undergraduate programs and 2 graduate programs.